Indy Hula performs during CultureFest at the Fine Arts Plaza on Thursday, Aug. 17, 2017. The summer has flown by and before you know it, you’re headed off to college! I know from experience that this new concept of life can cause a whirlwind of emotions. You’re excited, anxious, and nervous all at the same time. You may or may not want to be left by your family and live in a dorm. Whatever you’re feeling, Welcome Week is here to help you get accustomed to your new home. What they don’t tell you is that this busy week can be a crazy experience within itself. While the events are fun and offer a load of important information, the amount of festivities going on can leave you a bit overwhelmed. Not to fear! The following ten tips will help you take on Welcome Week like a pro. It’s 10 a.m. and you and your family have arrived on campus, van fully loaded with all your college gear. 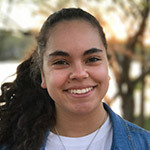 You are ecstatic about moving from home to the dorm, meeting and getting along with your new roommate, and achieving the freedom and responsibility that comes with living away from your parents. Being surrounded by hundreds of other students with the same thing in mind makes the whole event even more exciting. You’re so wrapped up in all the festivities that when everything is unloaded from the car, you may have forgotten that you actually have to unpack what took so long to get ready back home. Don’t leave everything in boxes! Don’t push it off until “later”! Make your bed, unpack your clothes, and organize your closet and desk. Do all this while you’re still on the high of arriving, and your parents are still there to help. You’ll thank yourself later as you come back tired from Late Nite festivities and your bed is clear and made, ready for you to flop down and fall asleep. You and your floor are going to be living with one another, sharing the bathrooms, and hearing each other’s voices in the hallway for the next year, so you might as well get to know them! Chances are most people, if not everyone, on your floor are freshmen too, which means you’re all going through this wonderful experience for the first time. Share stories, attend Welcome Week events together, and hang out in your floor lounge. Next time you want to order a large pizza after a long study session, you’ll have floor mates to share it with (or you could eat the whole thing yourself, that’s cool, too)! This is VERY important. 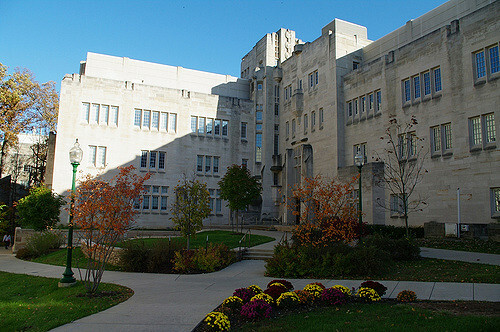 How are you going to get to Late Nite at the IMU if you don’t even know where the Union is located (FYI- it’s not on Union St.)? Grab a map and a friend, and get to know your home for the next four years. Pull up your schedule and walk to each classroom so you look like a pro when classes finally start. Explore each neighborhood, seek out the food courts, and find shortcuts to class. Just get out and walk around! This app tells you what events are going on each day, where they’re being held, and their duration. This is really helpful because there are so many things planned for Welcome Week,and you should try to attend as many festivities as you can. Download this on your phone now! 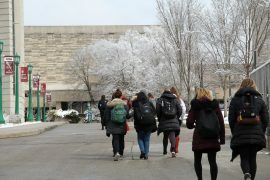 Now that you have the handy-dandy IU FYE app on your phone, start scrolling through to see which events interest you. Put them on your schedule so you don’t forget to go. Ask friends what they want to do, and make plans to go to certain events together. Figure out when each festivity is and where they’re being held so you can map out your day. In summary,try to go to as many events as possible; they are there just for you on this special week! You’re going to get tired pretty fast from attending all those activities. Long, hot days and late nights make up what we know as Welcome Week, so not getting enough sleep is inevitable. Also, meeting a ton of new people, trying to memorize names, and walking all around campus really drains the body and mind. Try and catch some zzz’s in between events. Taking an 30 minute to 1 hour nap after lunch will have you feeling refreshed and ready to take on the rest of the day! If you’re paying for meals during Welcome Week, you’re doing it wrong. There is always free food somewhere on campus, and often times in more places than one. 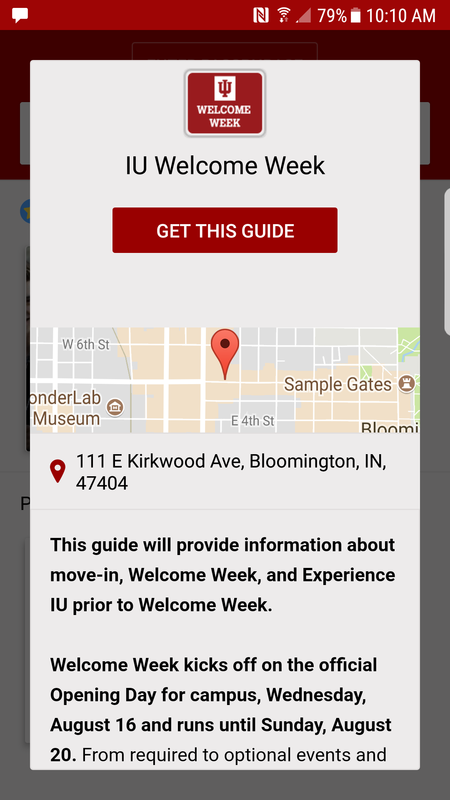 Look up current festivities on the IU FYE app, and hunt down the grub. Each neighborhood hosts a block party where you can find free pizza, pop, and Baked! cookies. Make sure to attend Culture Fest in order to try out different types of food from around the world! Save your I-bucks for a later time and chow down on what Welcome Week has to offer. Win ALL the free t-shirts! What’s better than gearing up in your school’s colors? Getting that IU apparel without paying for it! Free IU gear can be found at pretty much any Welcome Week activity you attend. During each event, make sure to visit every booth, learn what they have to offer, and pick from their assortment of free things. Winning t-shirts isn’t a very hard task: sometimes you have to answer a simple question, or download an app on your phone. Take these opportunities to also score some school supplies, magnets, candy, bracelets, and maybe even free tickets to certain shows put on by the Theatre Department! The last two pointers can easily be achieved by going to these four Welcome Week staples. 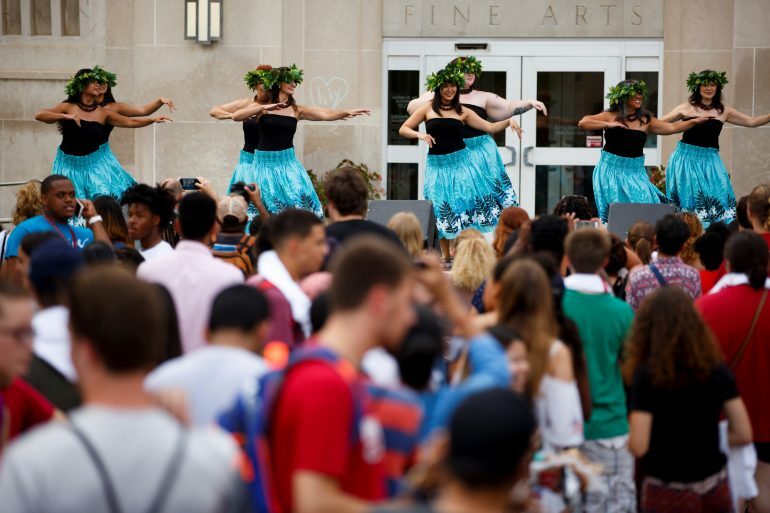 CultureFest is a great way to explore the diversity around campus, learn about the multiple Culture Centers at IU, and of course, eat free food! There are also performances put on by an array of student organizations, some of which you may be interested in joining. RecFest gives you the opportunity to learn about all the intramural teams and sporting clubs there are on campus. Tennis, ballroom dancing, rugby, rowing, quidditch, or ice skating; whether you’re experienced or just starting out, there is something for everyone. I think it’s understood that there is a plethora of free food at this event as well. The Block Party is a great way to let loose and have fun with friends. Tickets are cheap,and you get to enjoy multiple artists and hours of music. Grab your squad and get to the gates early if you want to stand closer to the stage. If you’re lucky, you could snag a free tee they sometimes throw into the crowd. Traditions and Spirits is a must-do for all incoming freshmen; it’s where you learn the school songs and chants for each sporting event. Standing in Memorial Stadium with your fellow classmates is when everything really starts to sink in: you’ve finally made it to your (hopefully) dream college. Listen to the motivational speeches and tips from everyone who speaks at the event, and enjoy the fireworks and show put on by the Marching Hundred. This momentous occasion is something you just can’t miss. I know this is quite cliché, but really take it to heart. College is a fresh start, and you should take that to your advantage. You will be exposed to things that you may have never heard of or seen until now, but be open to these new experiences and meet new people. While going on this wild ride, however, don’t lose yourself along the way. If you aren’t into drinking, don’t let anyone pressure you into doing it. If you have something you truly believe in, don’t let anyone change your mindset. Surround yourself with friends who respect you and share some of the same opinions. If you can’t find anyone, don’t fret; friendships take time. It’s better to seek out true friends than to throw yourself into the first group you find. Join clubs, attend events, and find people with a common interest. Be yourself around others and the rest will follow.